The Tabarrini Sagrantino di Montefalco is not exactly a new find. But after a confluence of factors oddly converged I decided I needed to share this relatively obscure yet deeply rewarding wine. It’s one I’ve really enjoyed several times and I have several resting to track its evolution. A few weeks ago a friend asked me about which bottles I thought might “blow you away” that could be found around the $30 price point. I assured him that it can certainly be done, though it might take some effort to do so. Immediately the Tabarrini Sagrantino di Montefalco came to mind, but I thought it might not be worth sharing due to its scarcity. I had thought that Sagrantino was only grown in the small town of Montefalco in Umbria, Italy (with a mere 250 acres of vines dedicated to Sagrantino, mind you). That is until I recently came across an offering from Italian-centric winery Bennessere Vineyards in Napa that just so happens to produce a bottling from their tiny half-acre parcel of estate grown Sagrantino. Intrigued, I ordered a bottle of Benessere’s Sagrantino and decided it was time I share my adoration for wine that introduced me to this interesting varietal: Tabarrini’s Sagrantino di Montefalco. 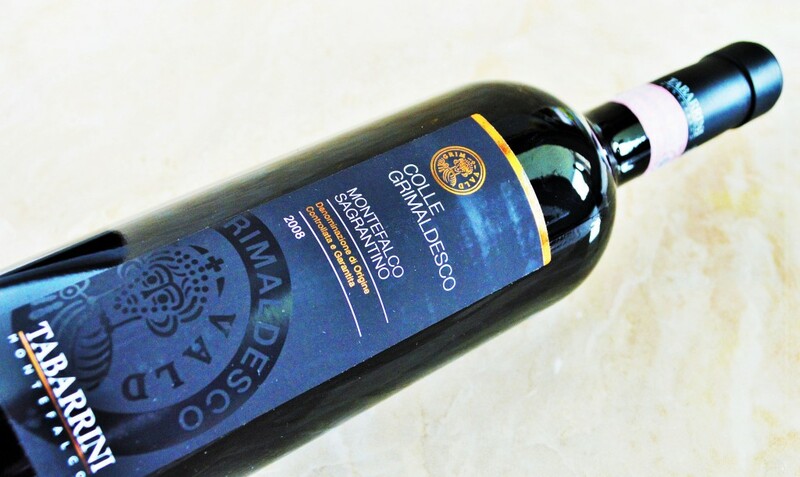 This entry was posted in Between $20 and $29.99 | Reviewed, Red Wines, Top Wine Values, Under $100, Under $30, Under $50, Under $75, Wines Til Sold Out Wines | Reviewed and tagged Best Italian Wine under $30, Best Italian Wine under $50, Best Red Wine under $30, Best Red Wine under $50, Best Wines under $30, Best Wines under $50, Sangratino, Sangratino di Montefalco 2008, Sangratino Montefalco Wine, Tabarrini Montefalco Review, Tabarrini Montefalco Sangratinio, Tabarrino Montefalco, Top Wines under $30, Umbrian Red Wine on April 30, 2015 by The Fermented Fruit.